SAMSN7L1RAD_CDROM is the gridded Nimbus-7 Stratospheric and Mesospheric Sounder (SAMS) Level 1 Radiance Data Product. 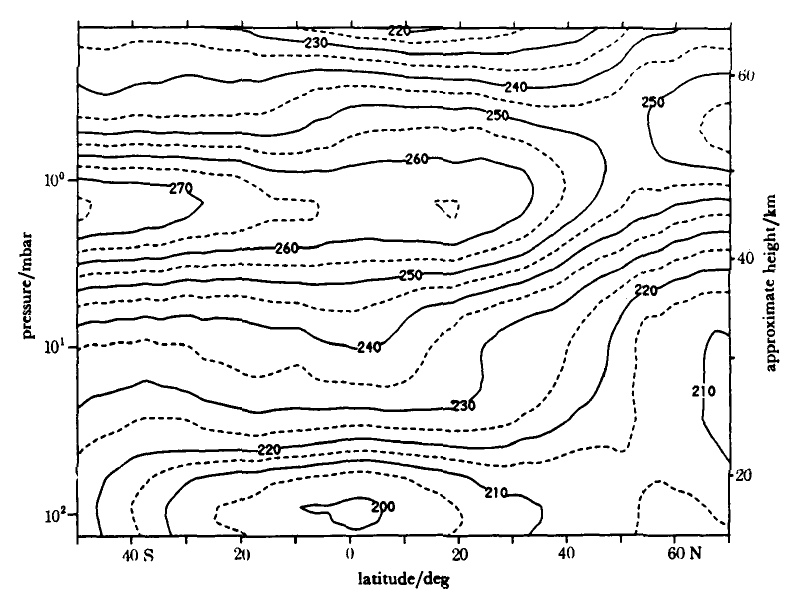 The radiances were selected to derive gas concentrations at the wavelength bands 15 (CO2), 25-100 (H2O) 4-5 (CO and NO), and 7.7 (N2O and CH4) microns in the stratosphere and mesosphere, with a resolution of 100 km in the horizontal by 10 km in the vertical at the limb. This product contains radiances in a daily 2.5 degree latitude x 10 degree longitude grid format, gridded temperature profiles at 100, 30, 10, 3, 1, 0.3, 0.1, 0.03, 0.01 and 0.003 hPa, as well as the calibration, apriori and reformatted copies of the original tapes. The data for this product are available from 22 October 1978 through June 9 1983, with a few additional raw radiances to 16 April 1984. The principal investigators for the SAMS experiment were Prof. John T. Houghton and Dr. Fredric W. Taylor from Oxford University. This product was created by the Oxford University's Atmospheric, Oceanic and Planetary Physics (AOPP) group. The data are stored on a set of 53 CD-ROMs in ASCII files of hexadecimal characters, and are available in gzipped Unix tar archive files. The first CD-ROM contains the a-priori temperature profile, monthly mean retrieved temperature profile, pre-launch calibration, housekeeping and instrument subsystem status files. CD-ROMs 2-5 contain the gridded temperature data. CD-ROMs 6-22 contain the radiances from the C-series and G-series tapes, and CD-ROMs 34-53 contain the raw radiance values from the R-series tape. The byte-ordering in the data files follows the DEC convention for 16-bit integers of less significant byte first. Normal 2's complement integer storage is assumed. The data should be used with care and one should first read the Nimbus-7 User's Guide. Users should cite this data product in their research. Nimbus-7 SAMS zonal mean temperature cross section for 6 November 1978.